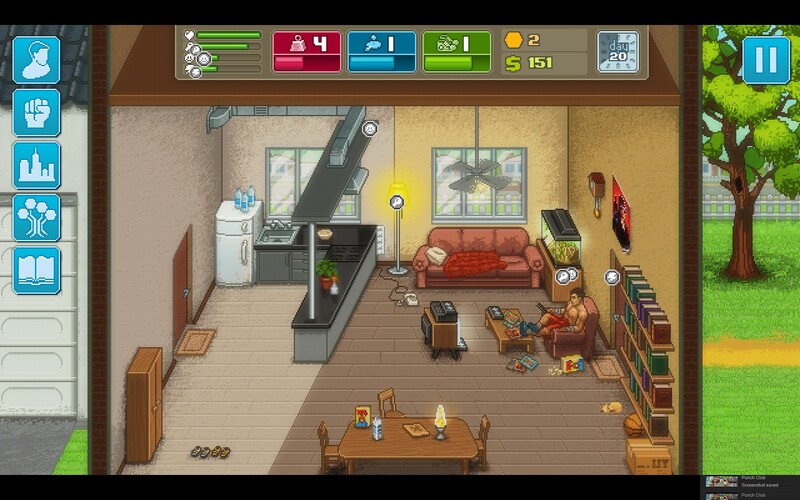 Holy cow Punch Club is addicting. 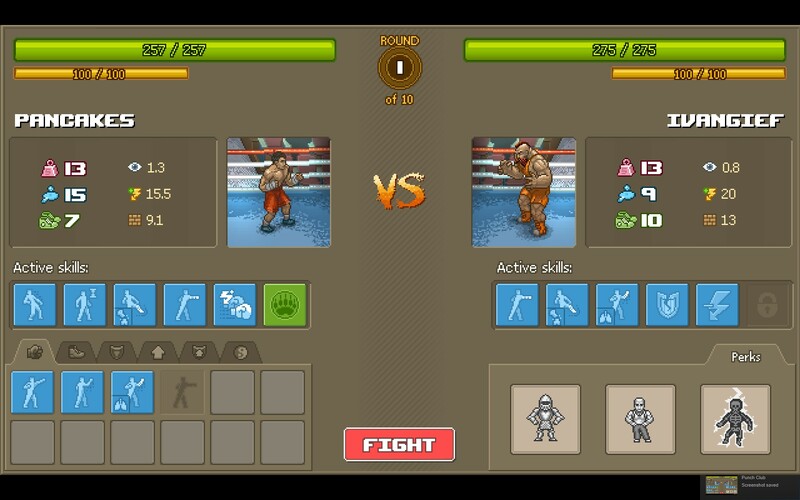 While on the surface it looks like a simplistic boxing game, I think labeling it as such would be a bit misleading. 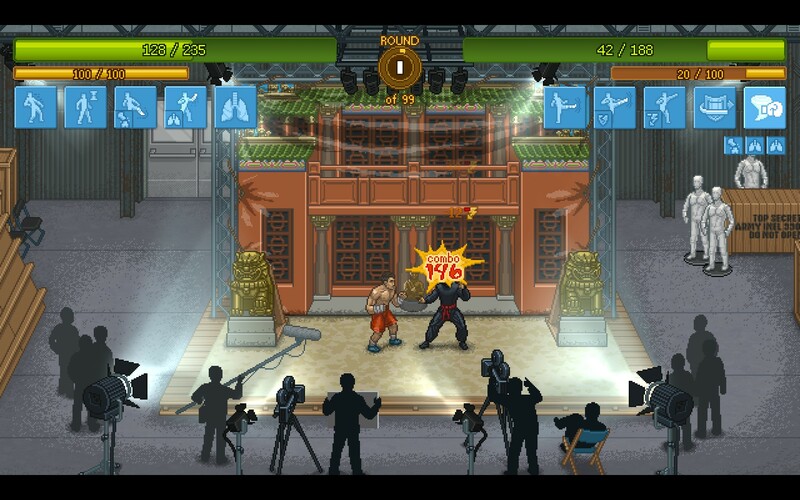 It’s more of a micro-management/sim game with a boxing theme. At first I thought this was kind of a silly idea, but after getting lost in the ins and outs of Punch Club it really pulls you in with its atmosphere and throwbacks to some of my favorite movies and TV shows. Punch Club has a lot of charm. Sometimes you just need to sit back and watch the TV. If you’re not in the best mood, your training won’t be the best either. And we all want to be the very best… like no one ever was. The story starts off with you watching your father get shot in front of you as a small child and then being taken in by a boxing coach. It kind of comes off as a revenge story, but it doesn’t play out like that. You seem to be pursuing your career as a boxer and you end up encountering the man who shot your dad and you don’t even seem to recognize him. So revenge isn’t your driving force. That’s fine with me; the revenge troupe is a bit over played as it stands. However the closer you get to the end, it turns out that you were looking for the man all along. In the end, it’s not a bad story, but depending on how you play some events just seem to happen and try to elicit some emotions that are supposed to be tied to certain NPC’s when they weren’t (for me at least). On the contrary, I got lost on the stat building and trying to figure out what the best course of action is for beating the game with as little worry as possible. On this track, the game can get a little repetitive trying to beef up all three of my stats. At this point, I would say that a pure strength build is not really worth it. That’s what my initial idea was; I wanted to build a One Punch Man. However, with all strength and not as much agility, it get’s really hard to land blows and that blows something fierce. I’ve had one enemy down to a single hit point and for some reason the RNG was not with me for a while and I went from about 3/4th’s of my health down to about 50 points from losing and suddenly my guy struck out and connected. What an interesting way to do combat. Picking out your moves and buffs to try to counter the other guy is crazy neat. You know… that or just pick a bunch of dodges and a move or two and hope that you just keep debuffs on your opponent. Either way works really. So that is probably one of the biggest selling points for Punch Club with me. You only pick what moves and attributes your fighter carries into a round. You don’t pick what move gets used once the round starts. While I admit that when RNG goes against me, it is one of the most frustrating mechanics I’ve experienced in a long while. I’ve pounded the arms of my chair rather hard in absolute frustration when a situation shouldn’t have happened the way it did. That’s the magic of it though. Even with what you feel is the premium build, some of those fights go down to the wire and it’s both equally exciting and scary… it can’t be that good for my heart though. I’ve thrown my hands in the air more than once when a victory is clenched from the clutches of defeat. While one can get lost in the min/maxing of your fighter, I implore you to explore all that the game has to offer if you can. There is a ton of things to do in there like joining a gang/mafia, going to jail, falling in love. It’s almost everything you’d expect from a Rocky/non-Rocky boxing movie. Punch Club does it real well. I, being one who takes his inner Paladin with him to games, probably won’t experience the crime side of the story unless I go through the game a second time. If I do though, I’ll make a pure agility build and see where that takes me even though they nerfed it recently. I can’t see a stamina build being that exciting so agility is my only real choice. 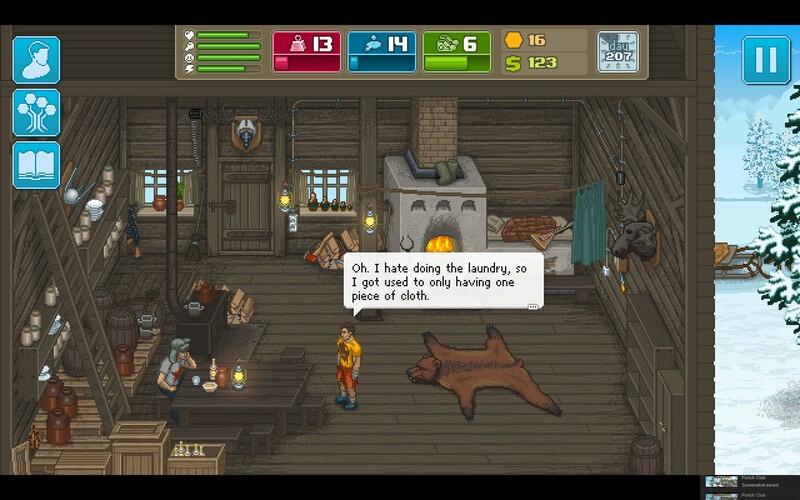 I really enjoyed the writing in Punch Club. A lot of good stuff seemed subtle, but everything worked really well together. Yup, 146… but not life… just 146 something. But at least the number is big right? So the more you hit in a row, you get a combo bonus. The “damage” you inflict is shown in a starburst bit above whoever’s head was just bopped. At first I thought that there was a direct correlation to the numbers versus how much life was taken off. About halfway through the game I started to think to myself that there was something amiss with my logic. A little time and combos later I started to think that I was off. I was getting very frustrated since mathematically I should have pummeled these fools by now. Turns out, it’s just a number. Maybe there is a reason for them. Maybe they are there as a ratio/percentage of damage or something, but maybe they are just there to make you feel better about yourself. It wasn’t working since I wanted them to be a 1:1 ratio since that’s what it seemed like when I fought Bobo with his stupid giant stick. The last thing is that stats play a huge role here. That may seem like a “no duh” sort of comment, but it’s also letting you know that you just can’t do whatever you want. Agility is super important. You can’t build a Rocky character who relies solely on his hits and stamina to outlast your opponents. If your agility is too low, you won’t hit jack. Actually, even if it’s high, there are times when you still won’t hit anything. I had someone down to a single hit point and watched myself get beat down to a fourth of my health while not being able to land as much as a sneeze on the other guy. I think I had three heart attacks during that round. I know I already mentioned that, but it was traumatizing so get over it and let me continue the healing process through griping to others. Still, needing to build my agility up that high to be able to get past parts of the story felt forced and really took me out of the story I was molding for myself within their story. Balance is good and all, but I just wanted to punch things once and have them explode. Is that too much to ask? There is a lot to love here with all the heart-throttlelingly intense wins and loses RNG can bring you. After you come to terms with the fact that Punch Club isn’t a free roaming Fight Club game where you can just do whatever you want and build to your heart’s content and more of a boxing management sim which tells a story, everything gets better. I love all of the Stallone references and the general 80’s shout outs from posters to the van in your garage. If you don’t try to get too deep into the talent trees, you’ll probably beat this game with a good/solid love for Punch Club. If you try to grind it out, you’ll probably get burned out. That’s never a good thing. Enjoy the story and then play it again and go to jail or make a straight Agility build with no strength because you know that’s what you want to do even if it’s nerfed. We all want to be ninja’s because ninja’s are cool.